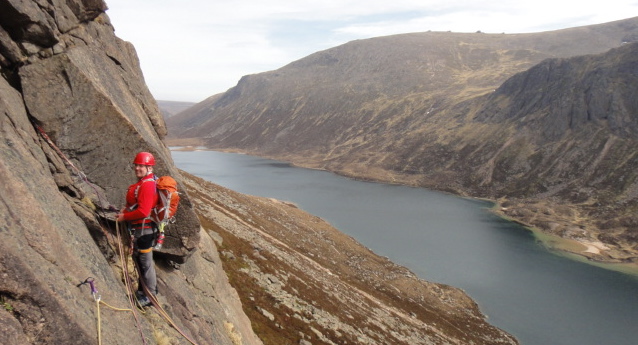 Staff training with Glenmore lodge was excellent last week, I managed two good days cragging, a river day, a staff training and meetings day and a day sea paddling at the Grey Dogs. 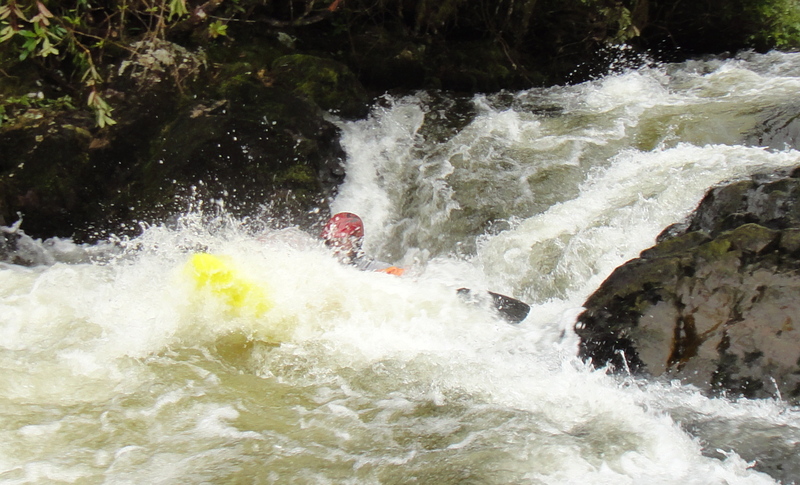 The cragging days were at Glen Nevis and Ardnamurchan, the river days were on the Loy and the Arkaig two new rivers to me and the sea paddling day was surfing some good waves at the tidal race of the Grey Dogs. 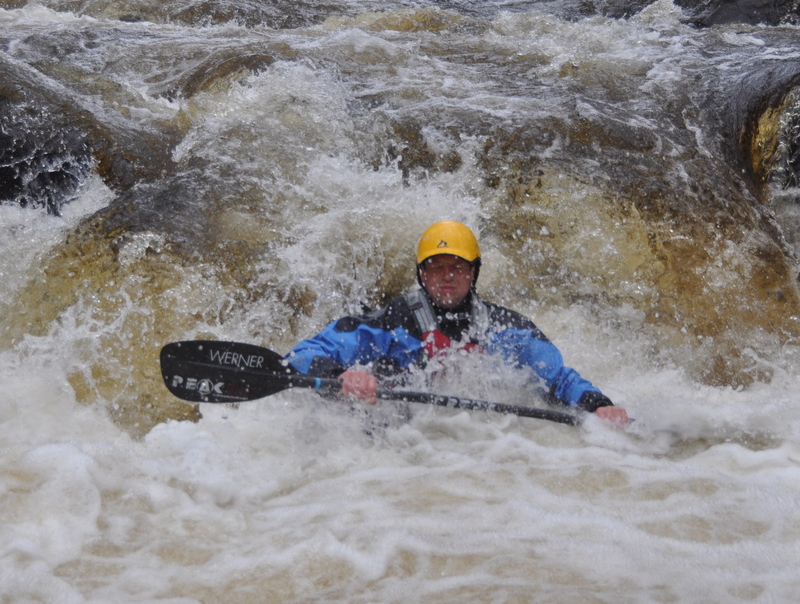 This weekend I’ve been out playing on the river Feshie with a good mate followed by a wee forearm burning session bouldering at the Old Bridge. Tomorrow takes me off down to Glasgow then a flight out of Edinburgh to Munich on Tuesday. 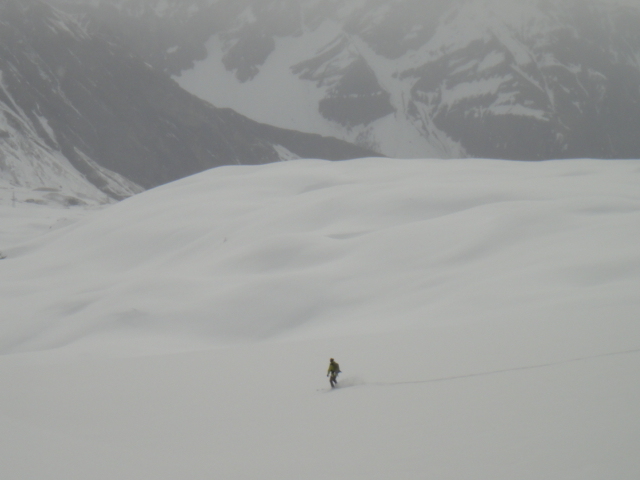 For what will hopefully be an excellent multi day ski tour in and around the Ortler Alps for a week. I’ll let you know how it all goes? I’m now based over in the Fort William for this week on five days of staff training with the instructors from Glenmore Lodge. So far we’ve had a couple of excellent days with some sun drenched climbing in Glen Nevis on Monday, followed by some paddling action today. 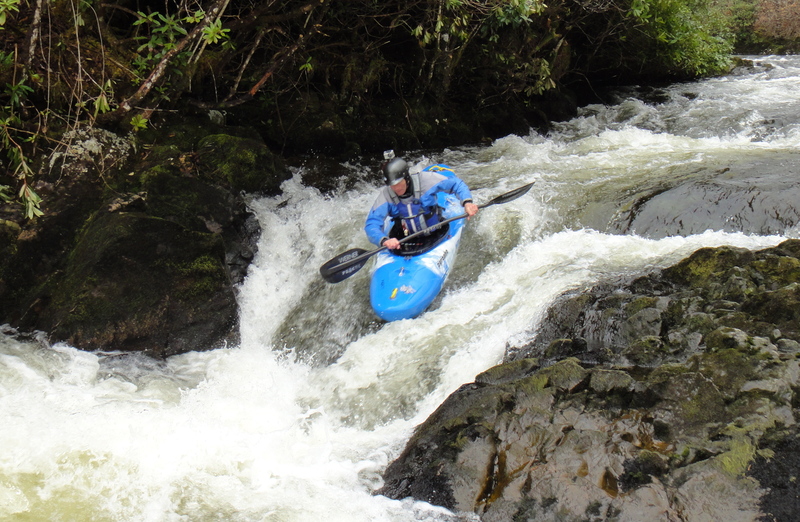 We paddled two new rivers for me, the Loy and the Arkaig both classic west coast rivers. 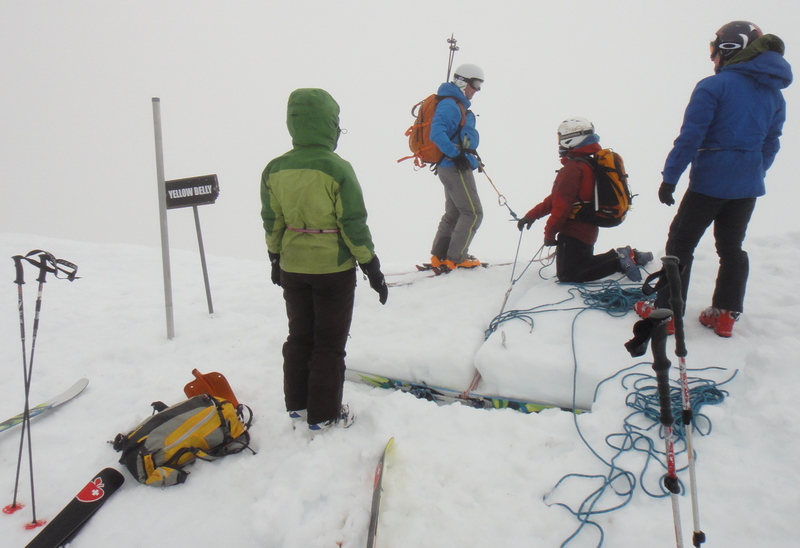 New snow fell last night down to about 400 – 500m with the hills all around the West coast looking wintery. It’s really hard just now to know whether we are in Spring, Winter or Summer? 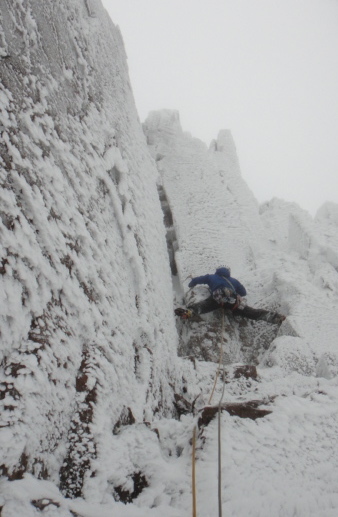 Dunc getting stuck into Hookers Corner, we backed off this due to to much rime ice. Eyes getting glued closed, hard to breath and s**t loads of clearing. "Not today thanks"! We then opted for The Hoarmaster (VI-6), this is quite a pokey wee route. 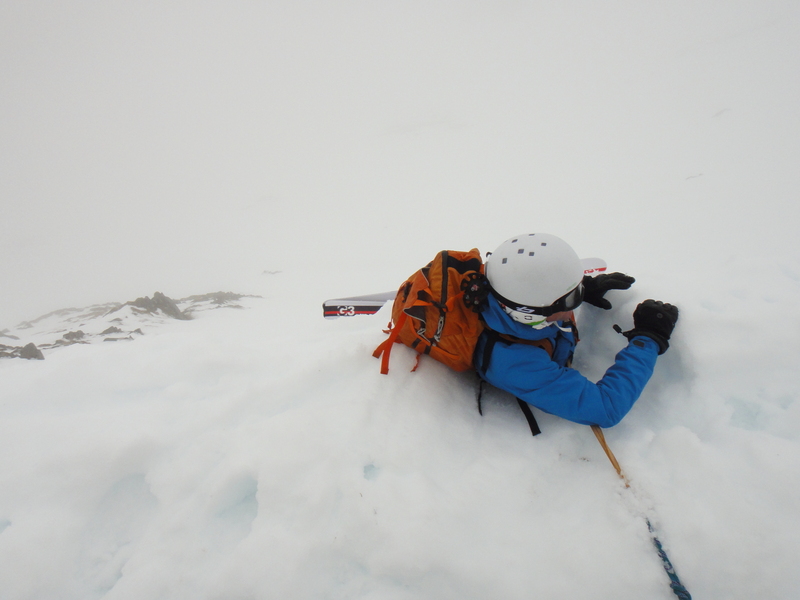 Again lots of digging and trying to remember how to winter climb! Happy to be finished, it was way more wintery than anyone had expected and felt like we were back in the depths of a proper winter again! 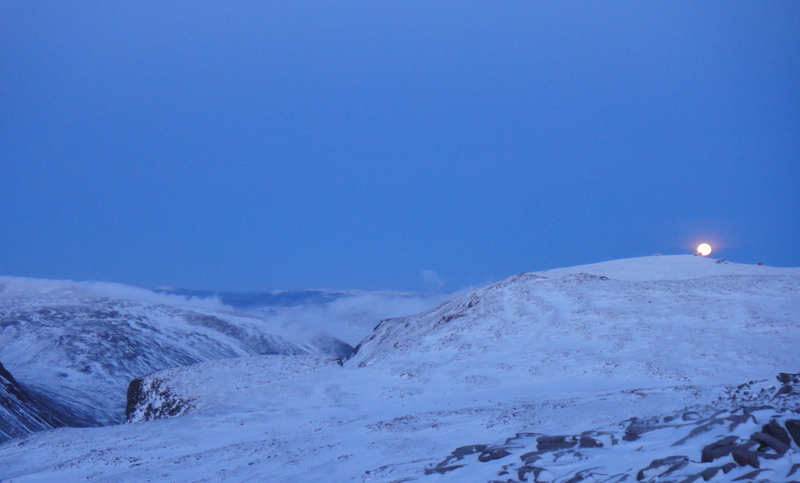 The view into the Northern Cairngorms from my house this evening. It's looking like it could be a stunning day tomorrow? 24hrs of near non stop driving carried us from a dull and snowy Chamonix and returned us to the bright and snow covered mountains over looking Aviemore. Kenny Grant finding some fresh remote tracks. 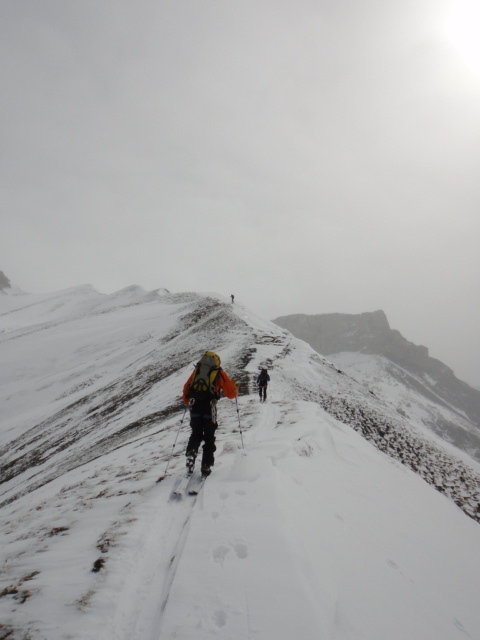 The never ending ridge of impressively steep mud covered with some snow. Fun! We managed to get up through the lift systems the next day and were unleashed onto a powder covered mountain range none of us had ever visited before. 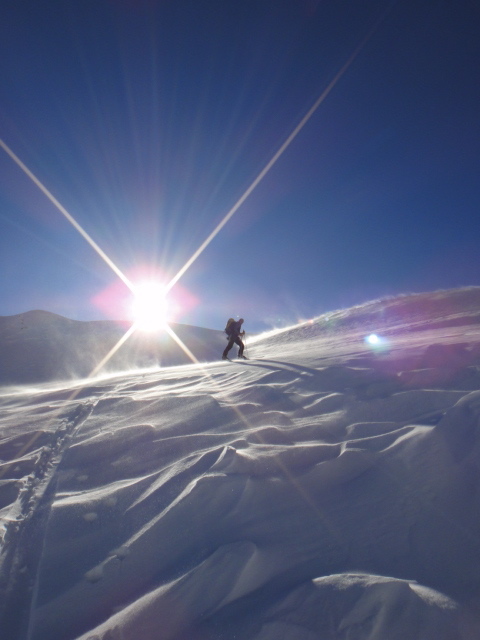 Just what ski touring should be about. It was a tour of two half’s, one half being dream snow at times on great mountains the other being poor snow on steep, awkward hills. Both days we tried to top out on a 3000m+ top but both days we where beaten back due to avalanche threats and tough snow conditions. 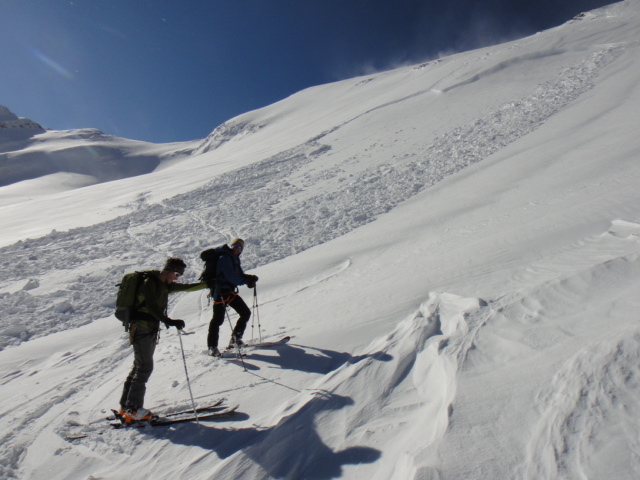 The biggest avalanche, remotely triggered by us and passed just behind the last person! With the weather getting really bad on the third day, lots of wind and even more snow. It was not a tough decision to abandon the tour and bail out to the nearest wee village. Once we arrived back in Chamonix another night on the beers was called for to help console ourselves after not finishing the tour. The next morning in the haze of a hangover and all the weather forecast confirming a rubbish forecast for the next while. It was time to quit the Alps and come home. Trevor enjoying some guided rock climbing on Stag Rocks. It was still supposed to be winter! I thought I should start to try and Blog again seeing how there seems to be some folks out there still interested or bored enough to follow my blog? 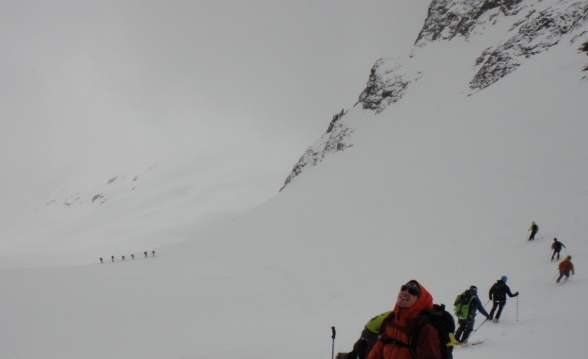 My last post was from before I headed out to the Swiss Albula Alps ski tour with some friends from Glenmore Lodge. This was a truly stunning tour with six days of excellent and varied touring. A much welcome break from the misery that was Scottish winter this year. Since the ski tour, as we all know winter took a sever nose dive and finished way too early, well for me anyway. 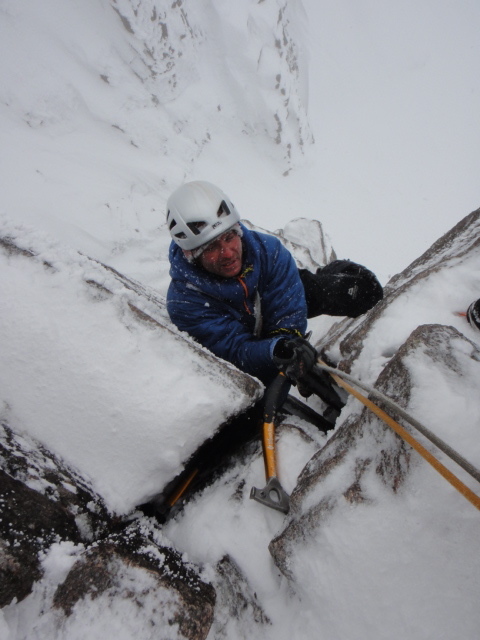 But there was some good winter to be had and I enjoyed a busy week working for Alan Kimber a couple of weeks ago. 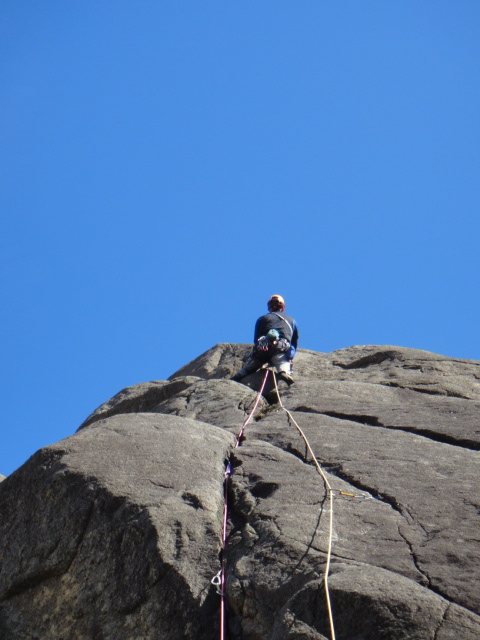 Our haul of routes included: Tower Scoop, Comb Gully Buttress, Central Gully right Hand, Observatory Buttress (rock) into the last three pitches of Zero Gully, Shoot in the Foot and Upper Tower Cascade Lft Hand. 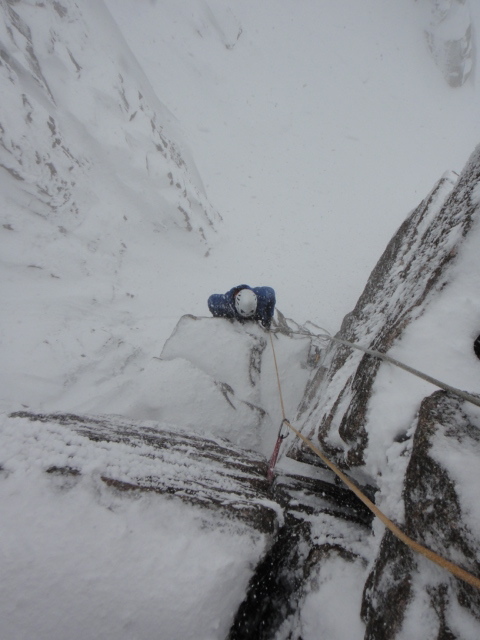 Not a bad weeks climbing seeing how it was all in a state of melt down and poor weather for the start of the week. 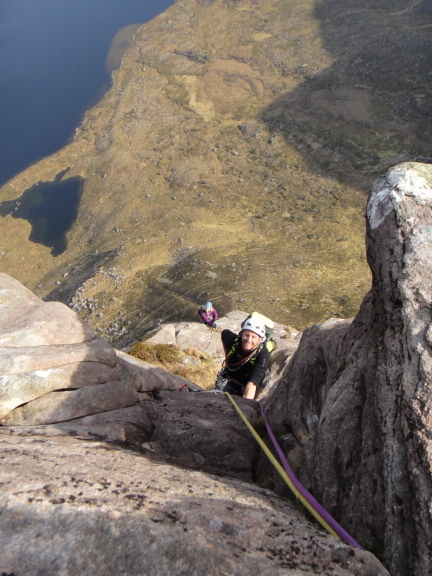 Deziree and Dunc seconding the upper pitches of the Fiddlers Nose. In awesome weather for MARCH! 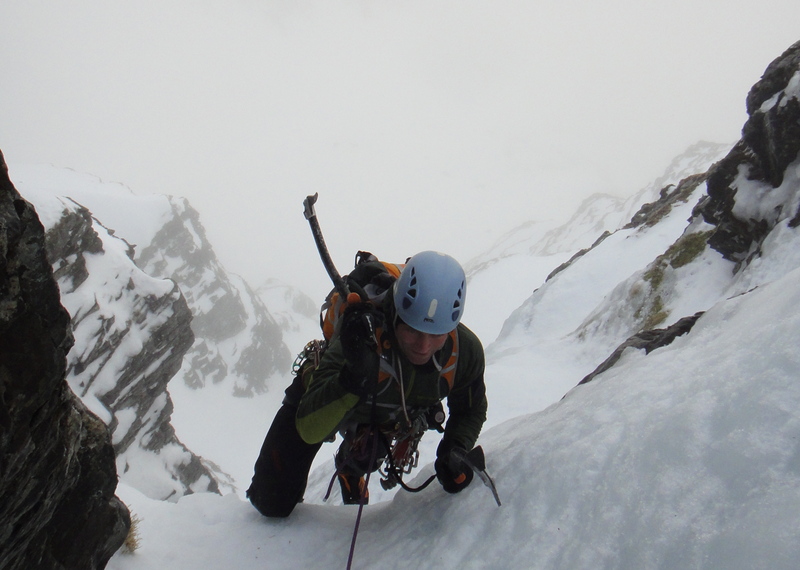 I was also busy for a couple of weeks working on a MIC Training and guided winter / Summer climbing course for Glenmore Lodge. This proved to be the last scraps of winter for this year. After this I’ve had some great days out rock climbing. 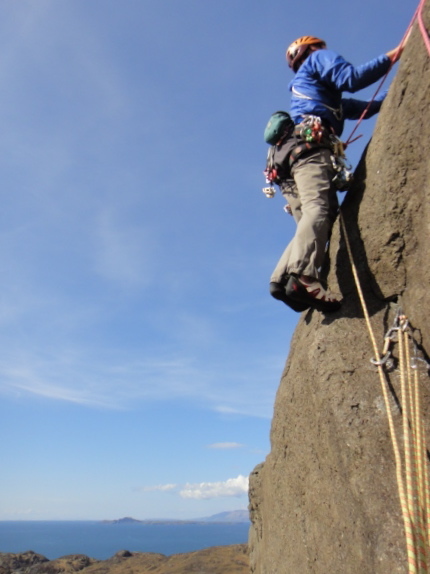 One was with regular client and friend Trevor over in the Loch Avon basin climbing some nice remote rock routes. The others were up at Reiff for a weekend with friends and lovely dry – hot rock, the ‘Fiddlers Nose’ up North of Ullapool, Creag Dudh for some early season fear and a few evenings bouldering down near the Old Bridge inn. Deziree sending in fine style 'Jump so High Combo' E2 5c. This is a great route with steep, pumpy climbing. I’m now out in the Alps having some time off after such a wet Scottish winter and looking to try and climb or ski for the next few weeks. This week has not started as well as we’ve hoped with some poor weather and a couple of false starts. 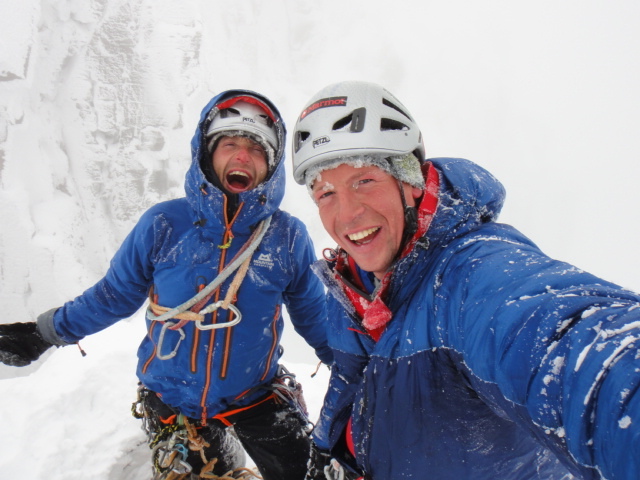 Dunc and I are off today to Switzerland to meet Kenny and Donald to start the West Oberland ski tour, weather looks good for the first few days then we’ll see what happens! Some mixed weather on one of the day tours this week. We even needed to use a map and compass, what's that all about! 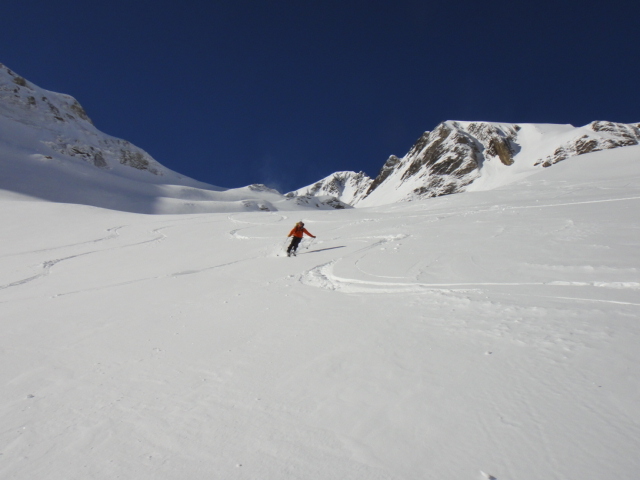 I’ll be away for the next five days so fingers crossed I’ll be back with tales of fresh tracks and great huts! Life’s been full of stuff over the last few weeks, lots and lots of work. 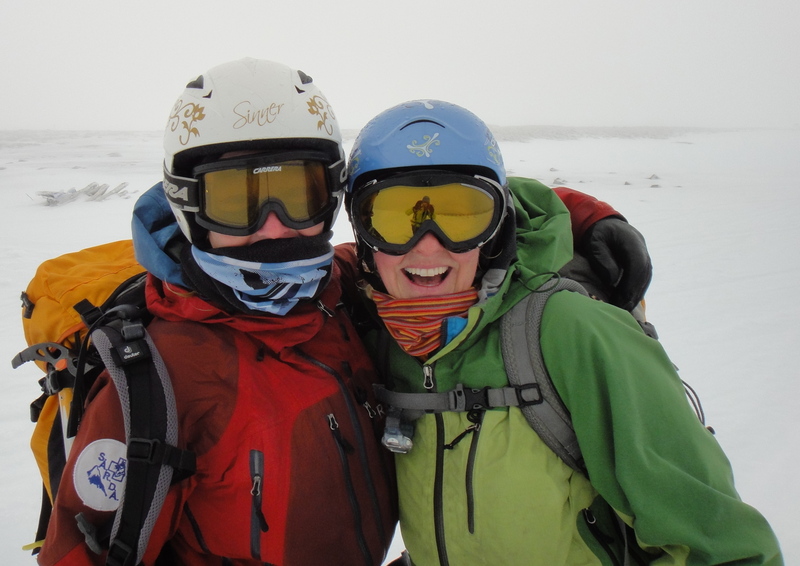 I passed my Mountain Ski Leader, presented a very successful lecture for the MCofS at the Mountain Cafe on Wednesday night, directed another Winter ML training and now my bags are packed for the Alps. I’ll be off-line blog wise for the next nine days while I enjoy some great touring hopefully, I’ll be out in Switzerland with some friends making the most of the white stuff, seeing how there is no winter left in Scotland! 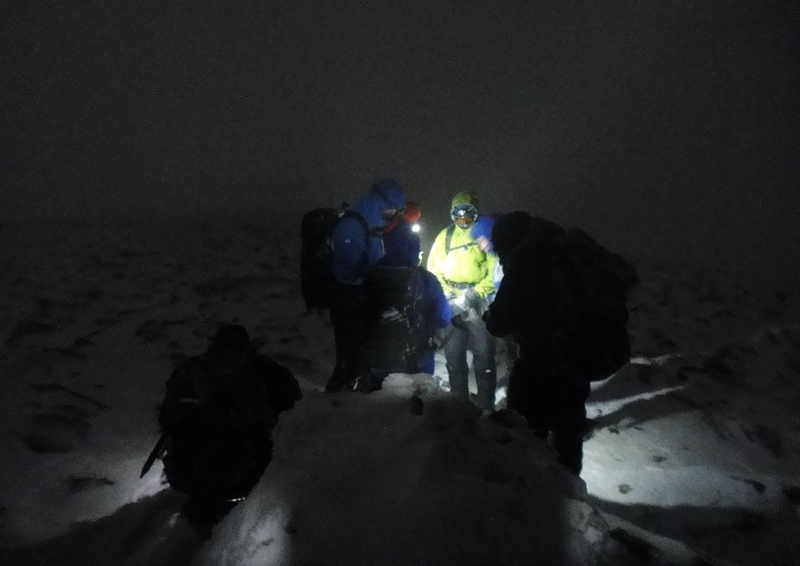 The conditions in the mountains in Scotland just now are very very poor, there are no routes left complete in the Northern Cories. There is just enough snow to run winter skills. It truly is a sad sad sight. Fingers crossed for the return to winter soon. 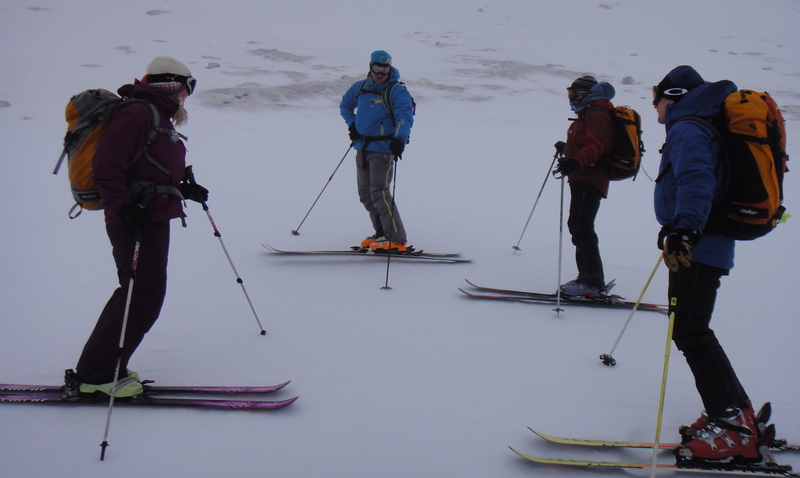 Today we headed out West for day three of our Mountain Ski Leader course. We took the risk and bought tickets that allowed us to access the top of Nevis Range giving us easy access to the back corries. For most of the day the skiing was good over the back, spring like snow with only a small amount of heather / mud skiing to get back round to the lifts. 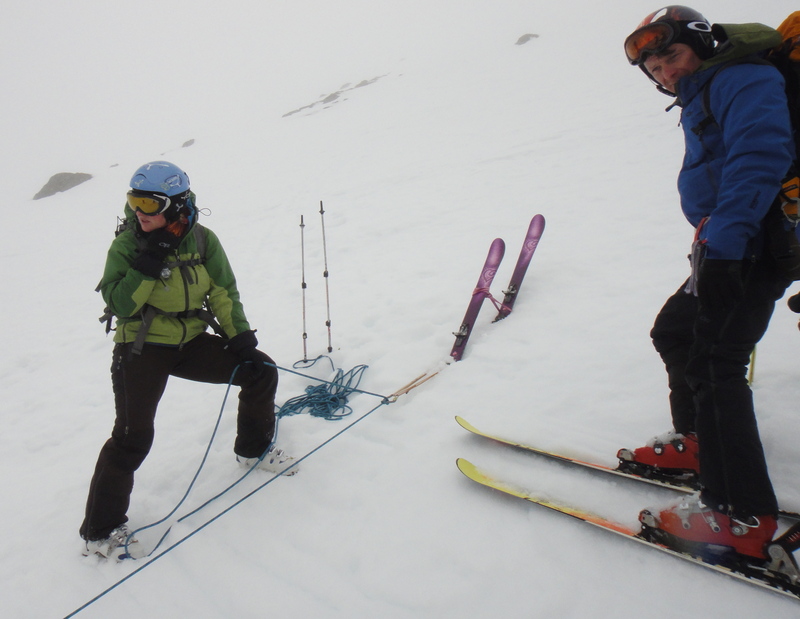 We covered lots today looking at belays, rope work, safeguarding steep slops and entires, steep skinning and change overs from skins to skis and vise versa on steep ground. 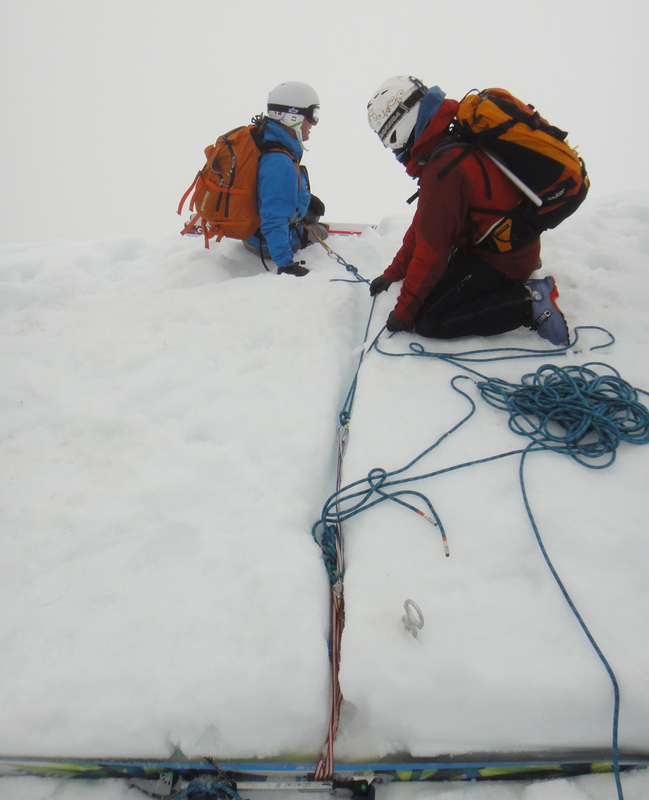 We also looked at lots of group management issues with steep slopes and poor vis, all well catered for on Nevis Range! 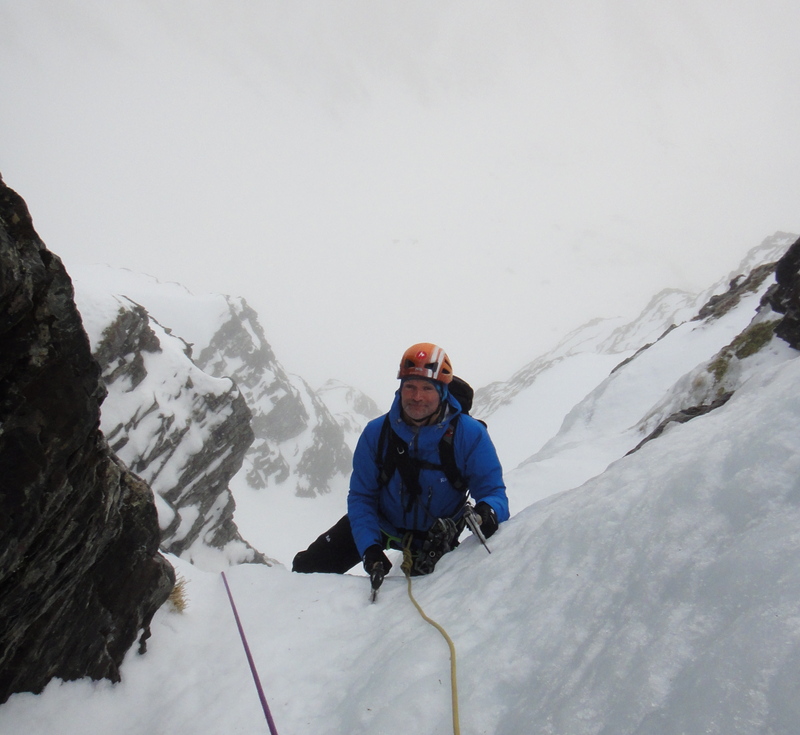 Ian Sherington testing the belay, think it will hold??? 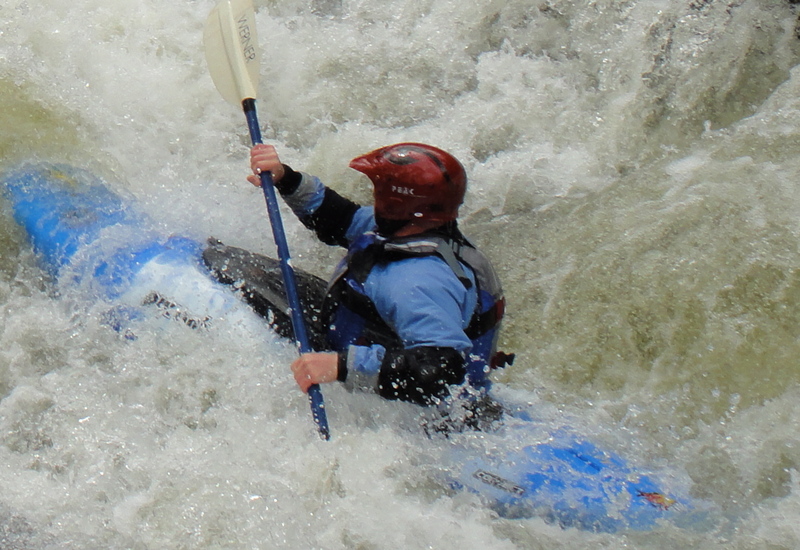 This week I get to enjoy the rare occasion that is me being a student on an outdoor course. I get to ask loads of questions and not have to worry about where we go or if we’ll be late back to the bus! 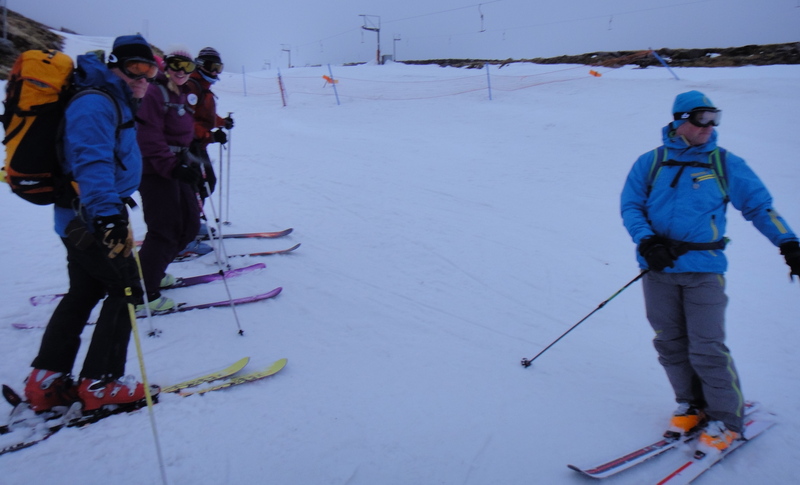 I’m lucky enough to a student on a Mountain Ski Leader course this week running at Glenmore Lodge, this course has not run for a few years so it’s great to see it back up and running. Other than myself on the course it is made up of some very experienced mountain professionals, Di Gilbert, Heather Morning and Richard Bentley. Should prove to be an excellent week, other than the poor weather. Corrie Ardair with many routes just about in. 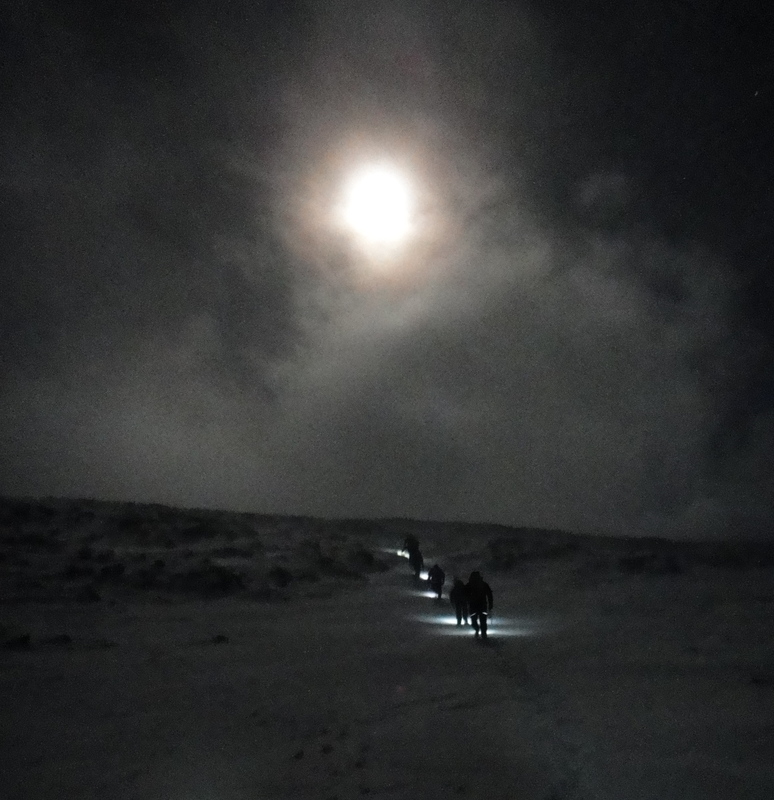 Jon, Giles and myself had a ridiculously early start for Creag Meagaidh this morning, well it felt super early anyway. We where also supposed to be in the good company of Phil Sanderson but he succumbed to some extra slippy ice early this morning and had to bow out. 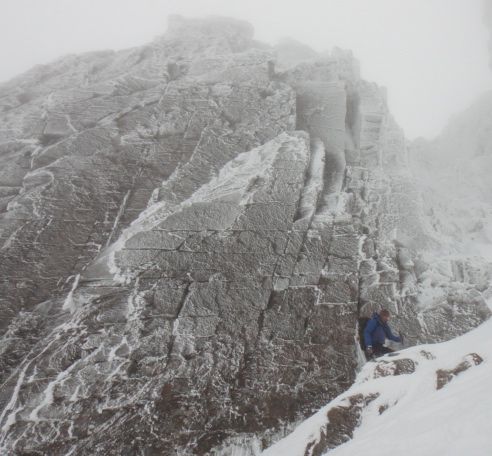 I had a strange wanting to go and shuffle sideways for two and a half kilometers round Corrie Ardair after talking with some friends about the Crab Crawl. 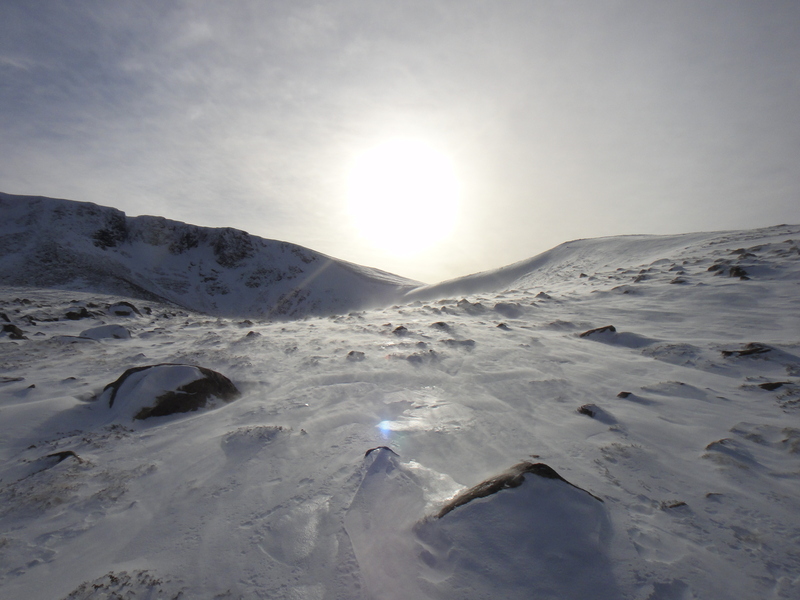 It was not to be as temperatures proved to be about zero degrees in the Corrie and most of the snows where still soft. We chose to go high and look at Diadem which non of us had climbed before, from afar it looked good and up close it still looked good. 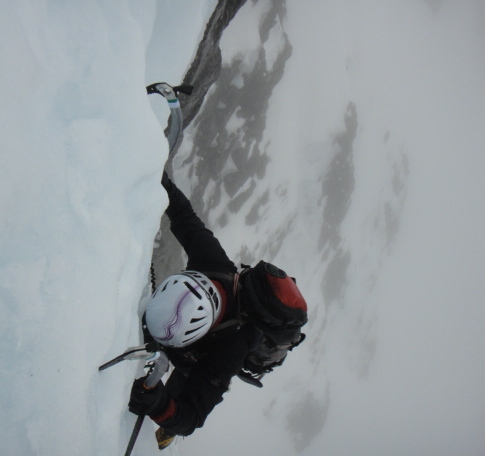 Once established on the route it proved to have some good ice, some cruddy snow and everything in between. 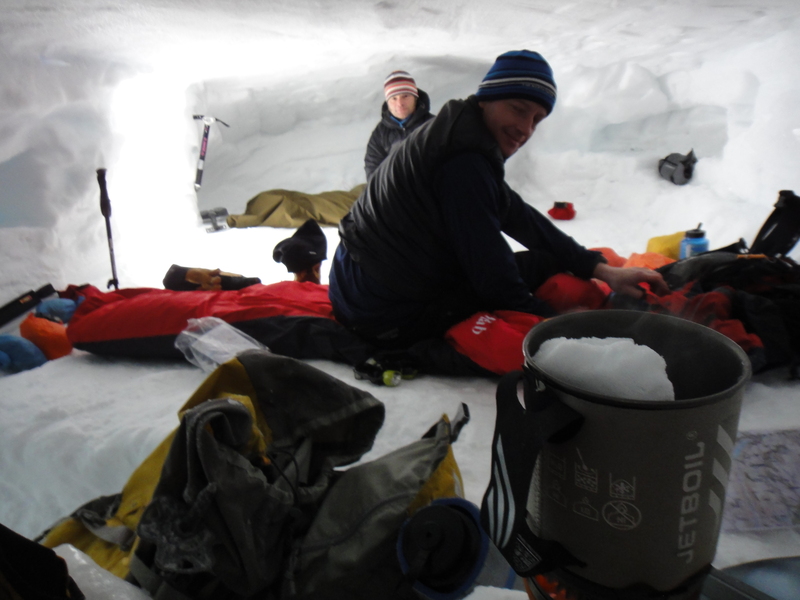 I lead the first main couple of pitches in a 60m pitch, and from here JJ, Giles and myself bailed off an ice thread hoping to take in the Wand as well. The wand being a slightly steeper route was in even poorer condition and after some thin climbing by JJ we opted to head home. All three of us have climbed the Wand before so there was no real incentive to be overly brave! 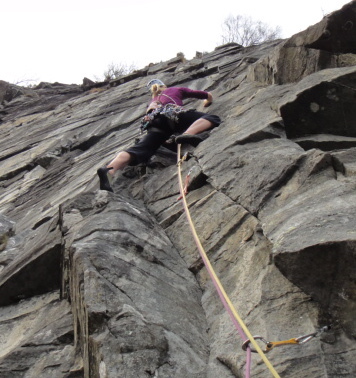 I then headed up to the Inverness climbing wall with Deziree to get my full fix of climbing for the day. 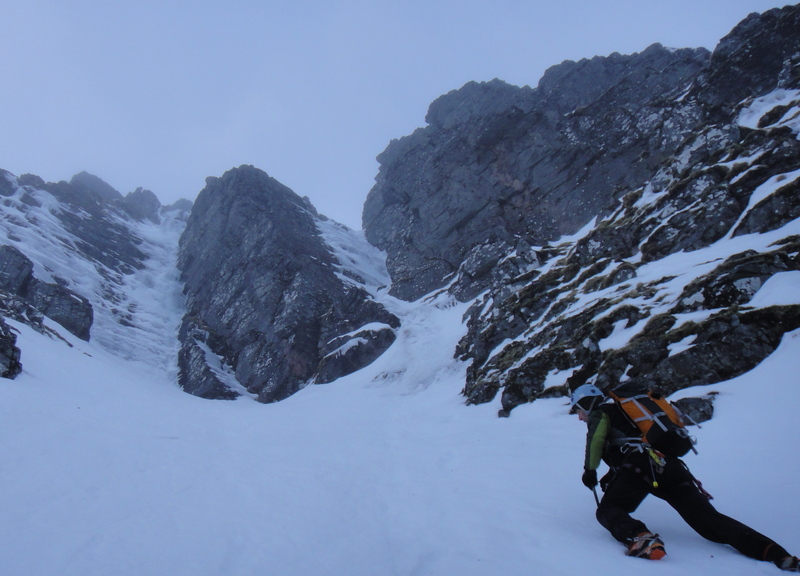 Jon Jones arriving at the belay after the steeper ice / snow / crud! The Pumpkin had a number of teams on it as did some of the post faces and some easier gully lines. Conditions where not great but many lines are in but only just. 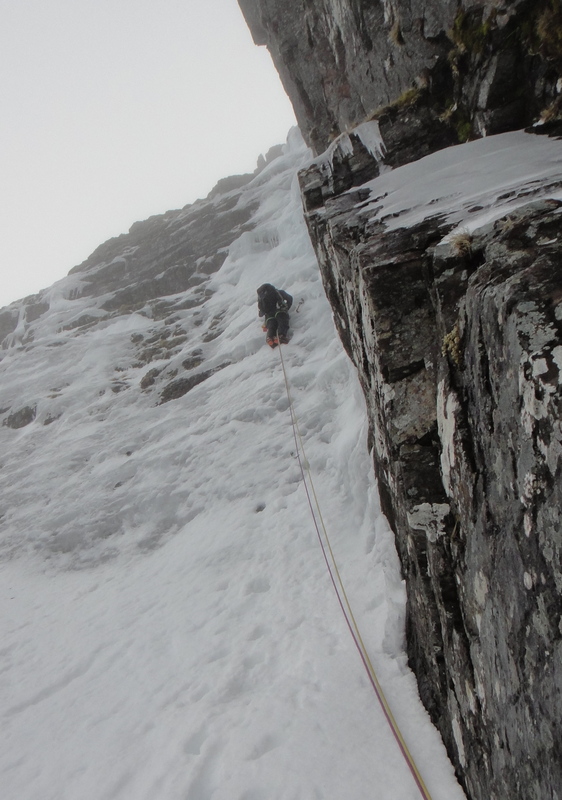 The routes could do with a proper freeze to bring them back to good nick. Giles Trussel letting the ice know who's Boss! Jon Jones about to decide that the ice on this Wand aint magic! Majestic Meggy looking fine for the walk out. I was back out on my mountain bike today with Deziree exploring the many sections of single track around Badaguish. This is a sure sign of how poor the current winter conditions have become. 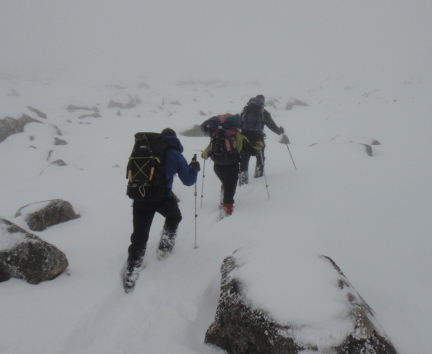 With freezing level high above the tops and rain coming down today, conditions are very poor just now. 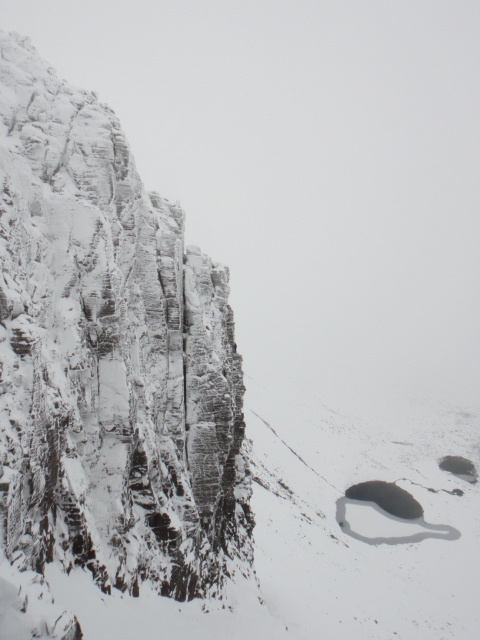 I’m keeping my fingers crossed and hoping to try and find some high ice to scale tomorrow, we’ll see what happens! 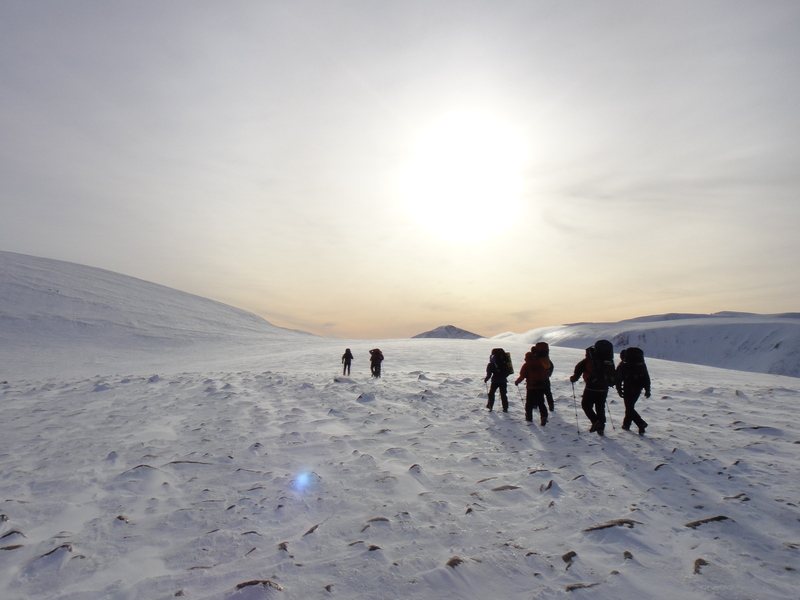 Some photo’s taken whilst out on the snow hole expedition part of the Winter ML training last week. We were out over Tuesday and Wednesday. Unfortunately it doesn’t look like this anymore! A palatial snow hole, glad we didn't have to dig it!